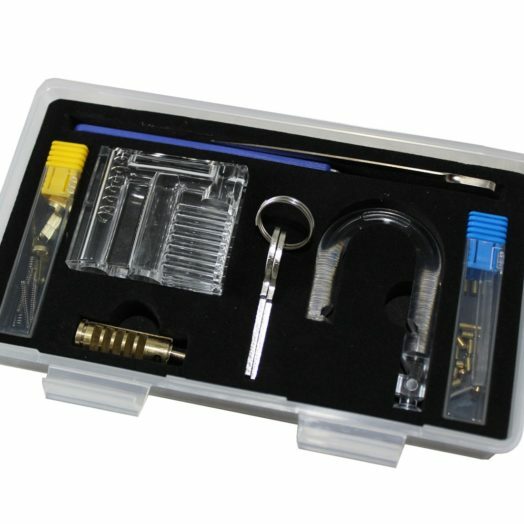 This training locksmith tool kit is great addition for those with a curiosity for how things work. 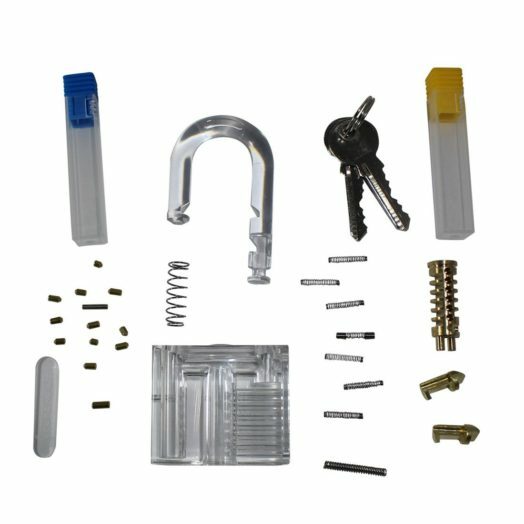 The lock pick training set is just as the name suggests. It's a great set for anyone who may be interested in the mechanics of a lock and how they work. Because it has a clear case the inner parts are completely visible to the inquisitive mind. Great for a future locksmith for training! This kit come in pieces and has to be completely assembled to begin training. 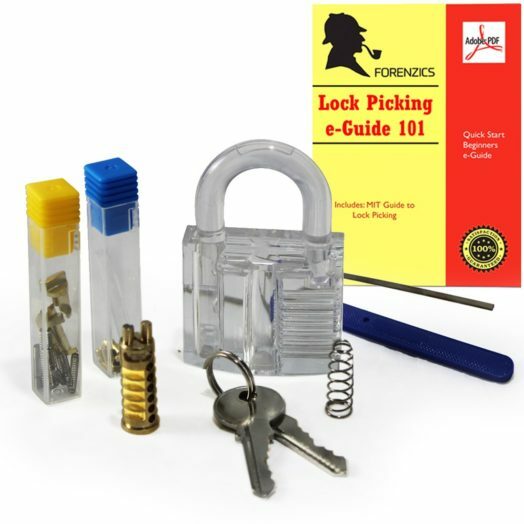 The set comprises of a standard padlock with a clear case, two keys, and an assortment of picking tools suiting a variation of padlocks and barrels. There are twelve different picking tools in the set each designed for a particular type of barrel. Therefore enabling the trainee locksmith to gain skills in fifteen different locking scenarios. The set also includes three wrenches to tension the barrel as required. This handy set would be ideal as a tool for any aspiring locksmith offering the trainee a variety of barrel scenarios to practice. Enabling them to hone their skills as there are so many different locks available to the consumer. For those who have a number of locks pertaining to their career requirements having this set may come in handy when a key is misplaced and a lock needs to be opened. Tradesmen, for example, have tool boxes and lockup storage requiring different locks. There are times when a key cannot be found and breaking a lock is near impossible. Finally, there are individuals with the inquisitive nature who are simply interested in the mechanics of all things, locks being just one. This training set is affordable quality and each item in the set is durable, hence, longlasting. Making it a good little set to add to any toolkit. Beit at home or on the job.